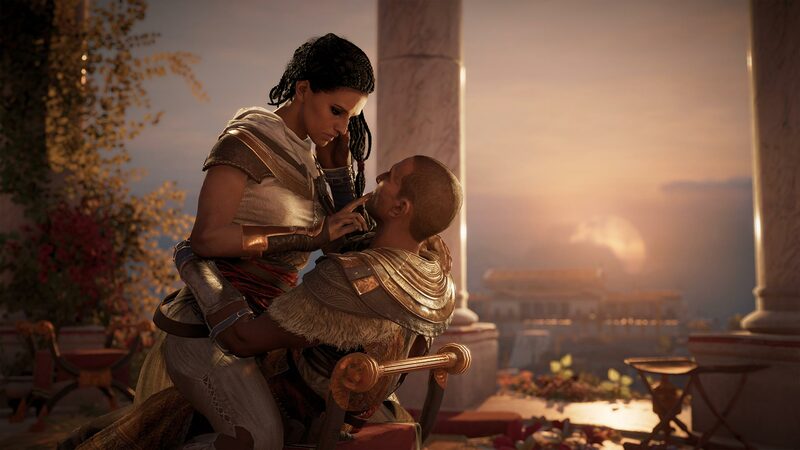 Ubisoft finally released Assassin’s Creed: Origins for PC today. As the game is still very young, not too many players have played it already. But those who have are not overwhelmingly satisfied. The game already has mixed reviews on Steam. I just went through the (mostly negative) reviews and noticed that the majority of players is complaining about technical problems. So, I gathered the most common problems that bother early adopters of the game. Along with the issue reports, I’ll also add some basic solutions. So, if you’re looking to solve your problem with Assassin’s Creed: Origins, you’ve come to the right place! 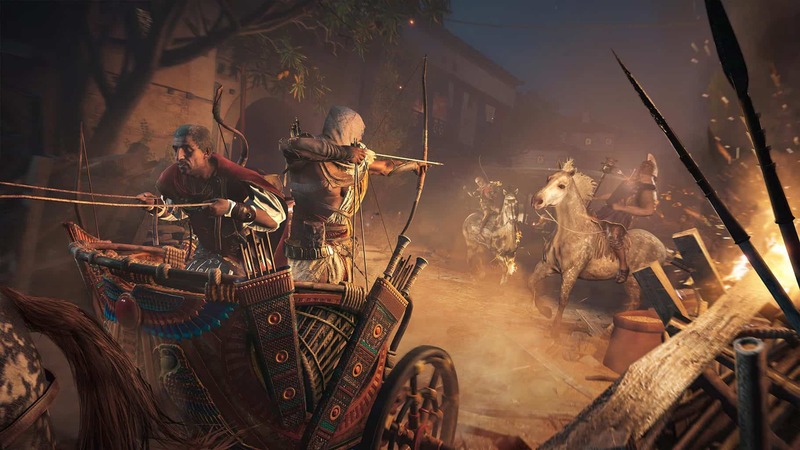 FPS drops and stutters are perhaps the most common problem in Assassin’s Creed: Origins. And people are mostly disappointed because of the fact this isn’t the first AC game that has similar issues. In fact, people faced the same problem with Unity and Syndicate back in the day. “It really doesn’t seem to matter what kind of GPU you are using . The performance issues most people here are complaining about are tied to CPU getting maxed out 100 percent at all times. This results in fps drops and stutter. As far as I know there is no work around. Nothing of has been confirmed yet. But it does seem like Assassin’s Creed: Origins is not so well-optimized for PC. So, if your hardware is not from the latest generation, you might have problems getting the most out of this game. Another thing that adds up to this conclusion is the fact that Ubisoft allowed the biggest media outlets to test the game on the Xbox One X, and not on PC! Could that be because the game doesn’t run so well on ‘weaker’ PCs? We can’t know for sure. In order to boost your game performance and get rid of slowdowns, low FPS, lags and other annoying issues, we recommend downloading Game Fire (free). In addition FPS and stuttering issues, there are also game crashes. A few gamers already reported that the game just randomly crashes while running. Make sure you run the game on your dedicated GPU and not the integrated graphics. 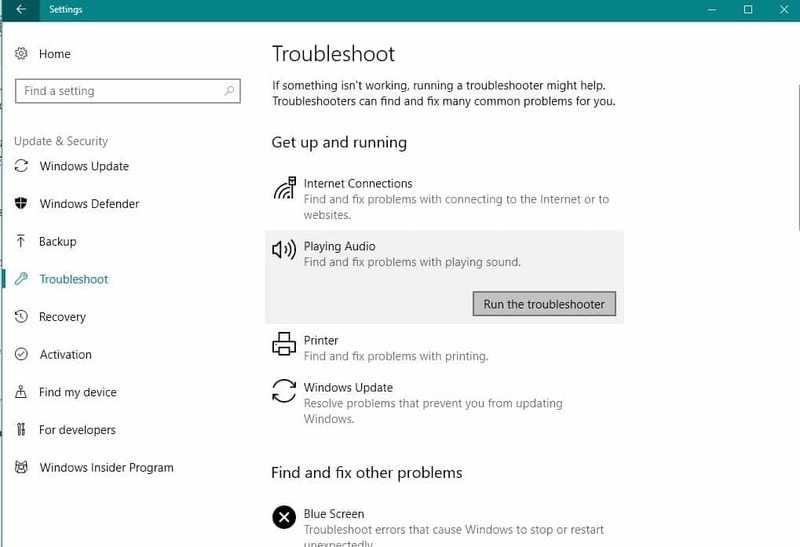 Install the latest Windows 10 updates on your PC. Windows 10 Fall Creators Update actually improves the performance of some games. Run a full system antivirus scan. Run the System File Checker to scan your computer for potential ‘internal’ issues. Install the latest graphics card drivers. Run the game and Steam as administrator: Right-click the Steam shortcut on Desktop > go to Properties > Compatibility > check the Run this program as an administrator checkbox. Make sure you run the game on your dedicated GPU and not the integrated GPU. 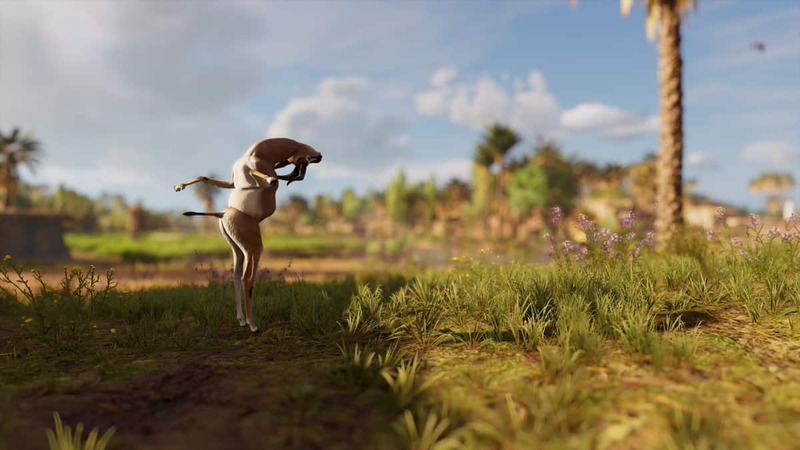 Now, let’s get to the known issues in Assassin’s Creed: Origins. These are the problems Ubisoft already acknowledged, so if you’ve already encountered some of these issues, we can almost surely say that the fix is on its way. Reportedly, this issue will be fully addressed in the next Title Update. If you find it hard to defeat Master Seer, and feel like he’s stronger than he should be, it’s exactly because he’s stronger than he should be. A bug increases Master Seer’s abilities, making him more powerful, increasing the fire damage on Bayek. According to Ubisoft, this issue will, you guess, get addressed in the next Title Update. If you enable HBCC on AMD Radeon settings, you may experience some performance drops. Of course, AMD promised to deliver a solution for this issue with the new update. So, check for your graphics card drivers update, and if there’s a new one, it should contain a fix. If there’s no update, it’s advisable to disable HBCC until it arrives, if you want to avoid performance drops. 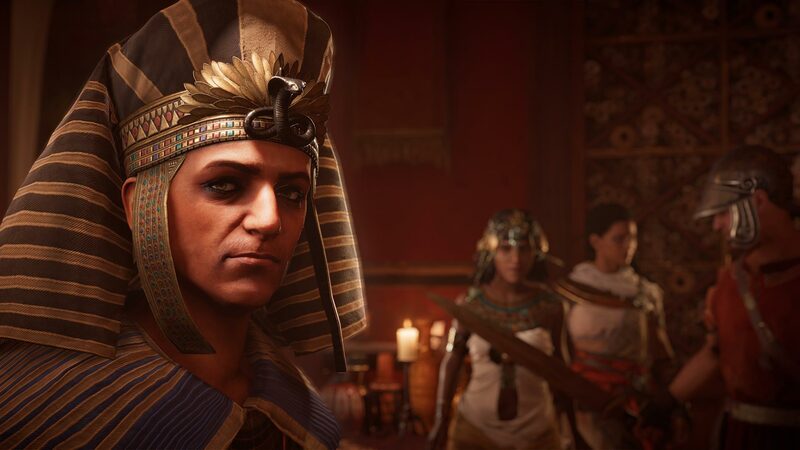 This issue is perhaps the most hyped problem of the Assassin’s Creed: Origins right now. People are making fun of ridiculous glitchy humanoid animals and Slenderman-like civilians in the game all over the internet. Unfortunately, if you’re terrified by these supernatural beings, there’s not much you can do, except waiting for the update. Ubisoft actually recommends disabling background apps on lower-end PCS, but we’re not sure how effective is that workaround. So far, we don’t know if the problem is strictly connected to the “Logitech” brand, as Ubisoft is still investigating the issue. Once again, the solution for this problem would probably be to install the latest drivers. Players who are using AMD FX Series, more precisely AMD FX-8350, could experience some performance issues, including FPS drops and freezes. That’s about it. As you can see, most problems are related to the game‘s performance, which many players believe is because the game is simply not as well-optimized for PC as it is for the Xbox One. If you think that the solutions listed above are too complicated, you can simply check for updates. Ubisoft regularly rolls out new updates to the game in order to fix the issues reported by players so as to offer a smooth and pleasant gaming experience. 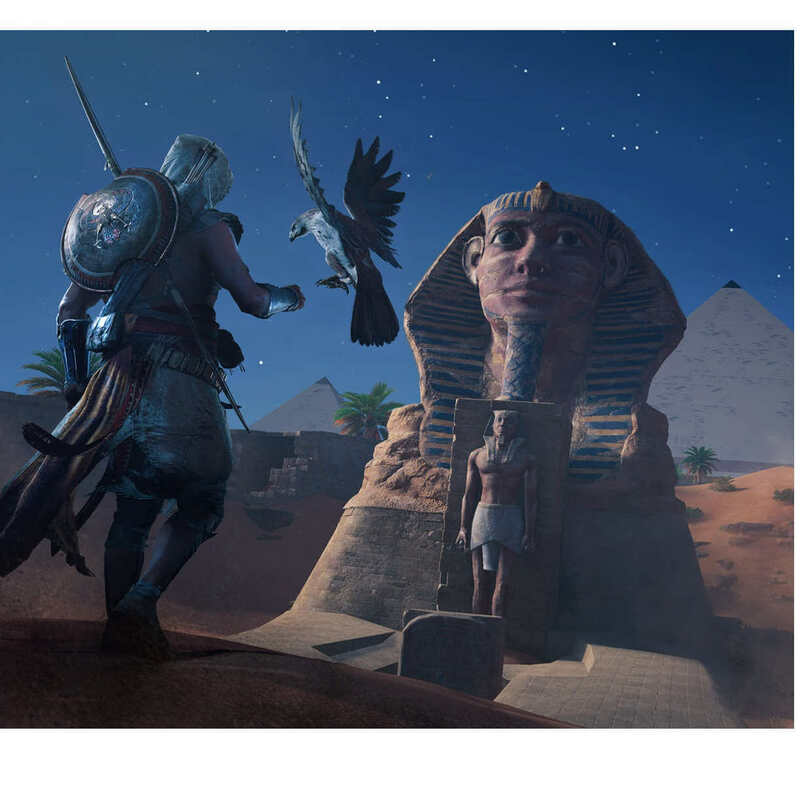 So, if it’s been a while since you last updated Assassin’s Creed: Origins, please do so now. Most of the bugs you’re experiencing right now should be history after the update. What about you? Have you experienced any issues upon installing Assassin’s Creed: Origins? Let us know in the comments below! Editor’s Note: This post has been updated to account for the increasing amount of bugs but also with their respective fixes, when applicable.